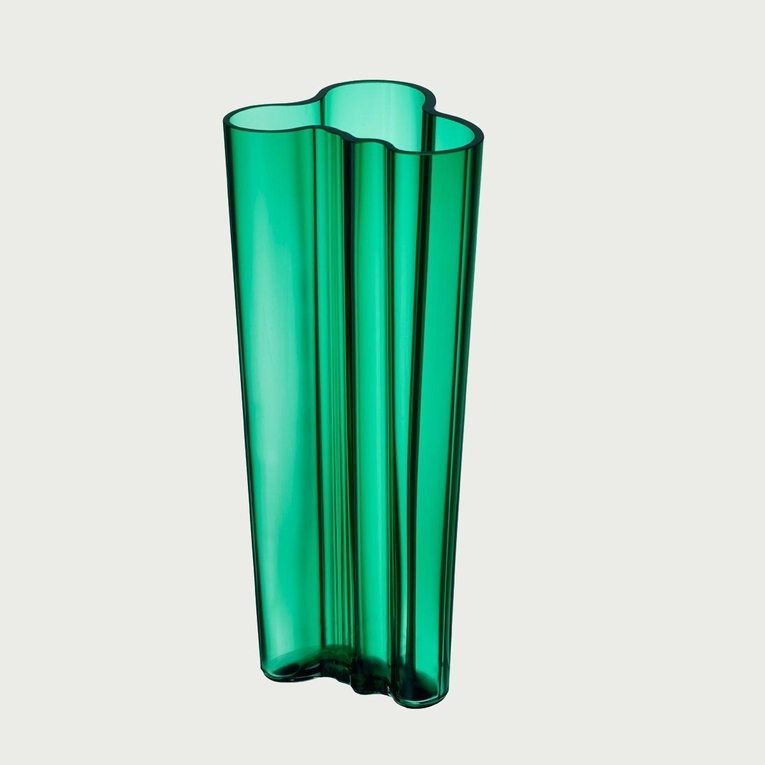 Home > Aalto Vases > iittala Aalto Emerald Kapea Vase - 10"
A modern manifestation of the original Savoy vase, the Kapea (Narrow) is the most slender of the variations. The free-flowing lines of Alvar Aalto's 1936 design are left untouched, but the vase is taken to new heights. Saturated in the alluring jewel tone of the 2016 Emerald color, the 1936 design is as lively as ever. Though the award-winning design's raw beauty seems like an organic occurrence, it requires 7 craftsmen, 12 work stages and 30 hours to create just one of these extraordinary works of art. Reviews of iittala Aalto Emerald Kapea Vase - 10"
Questions & Answers for iittala Aalto Emerald Kapea Vase - 10"